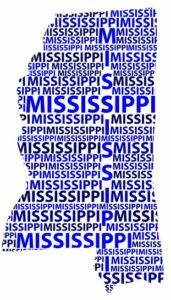 Mississippi is home to two schools that offer master's-level communication programs. The University of Southern Mississippi in Hattiesburg and Mississippi College in Clinton both offer on-campus programs where students can specialize in health services communication, mass communication, public relations, and corporate communications or journalism among other areas. Mississippi College also offers a master's in communication program that is available fully online or on campus in the evenings to accommodate the schedules of busy professionals. Following graduation, communication experts can find potential employment opportunities in Mississippi's largest industries of agriculture, manufacturing, automotive and healthcare, as well as at local media outlets in Jackson, Tupelo, Biloxi, Hattiesburg and Greenwood. Mississippi College in Clinton offers an on-campus Master of Science in Communication - Health Services Administration program, as well as an online or on-campus Master of Science in Applied Communication degree. What to Know: The Master of Science in Communication - Health Services Administration program is a 31-credit hour program in which students take 16 hours of communication courses along with health services administration courses and culminating in the presentation of a final convocation paper. The Master of Science in Applied Communication is offered in the evenings or online and allows students to choose from several concentrations, including journalism, generalist communication, public relations and corporate communication and sports communication. What Does It Cost? : Graduate level tuition for the 2018-2019 academic year is $609 per credit hour, which does not include additional course fees or books and supplies. The University of Southern Mississippi offers a Master of Science in Communication program on their campus in Hattiesburg. What to Know: The Master of Science in Communication degree is offered as a 30-credit hour thesis program or a 30-credit hour non-thesis program with two concentrations to choose from: mass communication or public relations. What Does It Cost? : Graduate level tuition and fees for the 2018-2019 academic year are $4,312 per term. Anything Else? : Applications for the program are accepted for the fall, spring and summer terms. The application deadline for the fall is July 1, December 1 for spring and May 1 for summer. Mississippi College offers their Master of Science in Applied Communication degree as an online program. The online program is a communication generalist degree to prepare students for further doctoral study or careers in the communication field. For more information about Mississippi College's online program, click here.